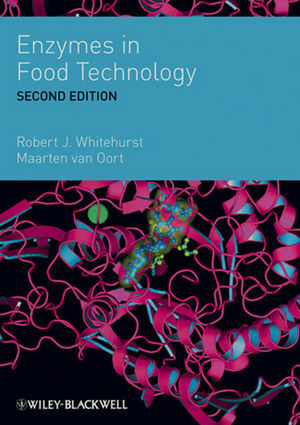 The second edition of this successful book highlights the widespread use of enzymes in food processing improvement and innovation, explaining how they bring advantages. The properties of different enzymes are linked to the physical and biochemical events that they influence in food materials and products, while these in turn are related to the key organoleptic, sensory and shelf life qualities of foods. Fully updated to reflect advances made in the field over recent years, new chapters in the second edition look at the use of enzymes in the reduction of acrylamide, in fish processing and in non-bread cereal applications such as flour confectionery. Genetic modification of source organisms (GMO) has been used to improve yields of purer enzymes for some time now but the newer technology of protein engineering (PE) of enzymes has the potential to produce purer, more targeted products without unwanted side activities, and a chapter is also included on this important new topic. Authors have been selected not only for their practical working knowledge of enzymes but also for their infectious enthusiasm for the subject. The book is aimed at food scientists and technologists, ingredients suppliers, geneticists, analytical chemists and quality assurance personnel. 1. Introduction (M. van Oort). 2. GMO and Protein Engineering (X. Liu). 3. Production of Industrial Enzymes (T. Dodge). 4. Asparaginase – an enzyme for acrylamide reduction in food products (B. Kornbrust, M. A. Stringer, N. K. Lange, H.V. Hendriksen). 5. Enzymes in Dairy Product Manufacture (B. Law). 6. Enzymes in Bread Making (M. van Oort). 7. Enzymes Non Bread Wheat Based Foods (C. H.M. van Benschop J. D. R. Hille). 8. Brewing with Enzymes (D. Goode, E. Lalor). 9. Enzymes in Potable Alcohol and Wine Production (A. Bruchmann, C. Fauveau). 10. Enzymes in Fish Processing (S. Benjakul, S. Klomklao, B. Simpson). 11. Enzymes in Fruit and Vegetable Processing and Juice Extraction (C. Grassin, Y. Coutel). 12. Enzymes in Meat Processing (R. Lantto, K. Kruus, E. Puolanne, K. Honkapää, K. Roininen, J.Buchert). 13. Enzymes in Protein Modification (P. M. Nielsen). 14. Starch Processing Enzymes (M. J. E. C. van der Maarel). 15. Lipases for the Production of Food Components (D. Cowan).